Help us document mountain goat impacts in the La Sal Mountains! On September 2, 2013, against the explicit objection of the U.S. Forest Service, the Utah Division of Wildlife Resources (UDWR) airlifted 20 Rocky Mountain goats from Utah's Tushar Mountains, which are overpopulated with goats, into the small, rare, alpine area of the La Sal Mountains. Utah's goal is to maintain a population of 200 goats year-round in the alpine area to provide for hunting. As of November 2016, UDWR estimates there are 65 goats in the La Sal Mountains alpine area. Our September 2019 trip will document the physical damage these goats are causing to lichens, mosses, cushion plants, and other slow-growing, old organisms in the Mount Peale Research Natural Area. The Forest Service regulations mandate removal of exotic species from research natural areas, but it is refusing to remove the exotic goats. The reseach natural area is alpine, located above 11,000 feet elevation. We will use a simple but objective transect method that the Forest Service uses to document physical damage by recreationists. This trip will demonstrate the damage that goats are doing to the Mount Peale Research Natural Area. Can hike above 11,000 feet (it’s beautiful, but exhausting, up there). Are able to look closely at plant damage on the ground. We will have plant identification guides to help you. Be sure to submit your Volunteer Application Form to secure your spot on the trip! Meet at the Moab Information Center, on the corner of Center and Main streets, in Moab, at 1:00 p.m. MDT. We will carpool to our site, set up camp in the nearby La Sal Mountains at about 9,500 feet elevation, describe the trip’s goals and logistics, get to know each other, enjoy a delicious dinner prepared by our staff, and enjoy the stars. Wake up early. Coffee and breakfast served at 7:00 a.m. Pack lunch. We will drive to one of several trailheads for hiking up into Mount Peale Reseach Natural Area. We will spend the morning being trained on the protocol for recording damage. After lunch, we will begin work in teams of three to record damage along lines that have been selected randomly, but on safe sites which are not too steep. In the evening, we will relax, enjoy a great dinner prepared by our staff, dress warmly, and share stories of what we’ve seen that day. Wake up early. Coffee and breakfast served at 7:00 a.m. Pack lunch. We will drive to one of several trailheads that will lead up into Mount Peale Research Natural Area. We will hike up to specific sites and work in teams of three to observe, photograph, and record goat damage as well as grazed, rare plants. We will finish work by 3 p.m. in order to hike back down to the trailhead and drive to camp. In the evening, we will relax, enjoy a great dinner prepared by our staff, and realize we’re getting an eye for goat damage, rare flowers, bumblebees, and ….the darn goats. Each day up in the alpine area is different. Wake up early for coffee. Pack up personal gear before breakfast at 8 a.m. Pack up group camp and head home — or off to your next adventure — knowing how much has been accomplished and how grateful the Trust is for your hard work! We will have a car camping style of base camp for four nights among ponderosa pine at about 9,500 feet elevation. Water will be available, but it is a primitive campsite. We'll have a groover toilet. The Trust provides: All meals, snacks, field equipment, and tools (in addition to what participants have and wish to bring). 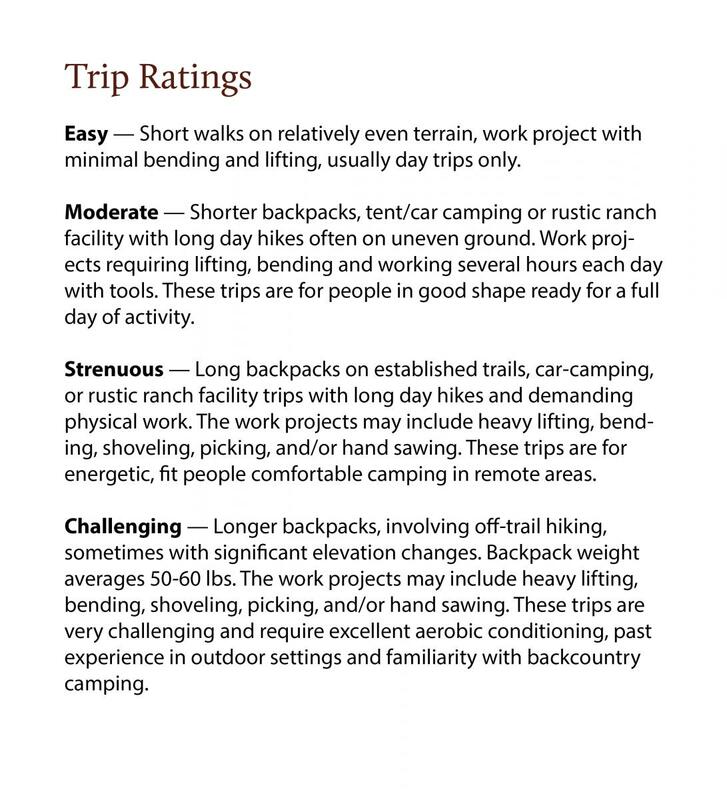 Participants provide: Personal transportation, camping and day-hiking gear for the week, hiking clothes, wide-brimmed hat, sunglasses, rain gear, extra shoes for camp, and clothing for cool or warm days (it could get very cold and/or wet at night — please come prepared). We can provide limited transportation and loan gear on a first-come, first-served basis. Contact us for details. 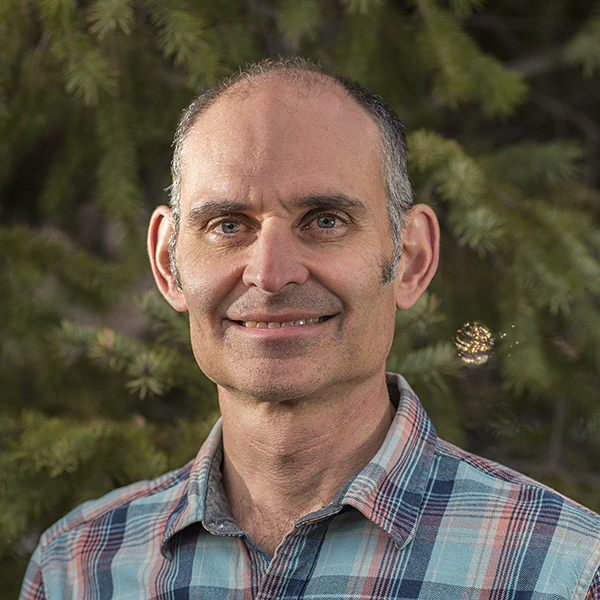 Marc Coles-Ritchie joined the Trust in 2017 after a number of years working in vegetation monitoring, land management, and conservation advocacy. He has worked for the U.S. Forest Service, conservation groups, and consulting firms in Utah, the western U.S., and Latin America. Marc spent his youth in Utah, where he was fortunate to explore the spectacular canyons, redrock country, and mountains. College, work, and adventure have taken him to New England, Ecuador, Arizona, and Alaska, but Utah has always drawn him back. Marc’s areas of expertise include wetlands, springs, and riparian areas — places that he values highly. He has a doctorate in ecology from Utah State University. 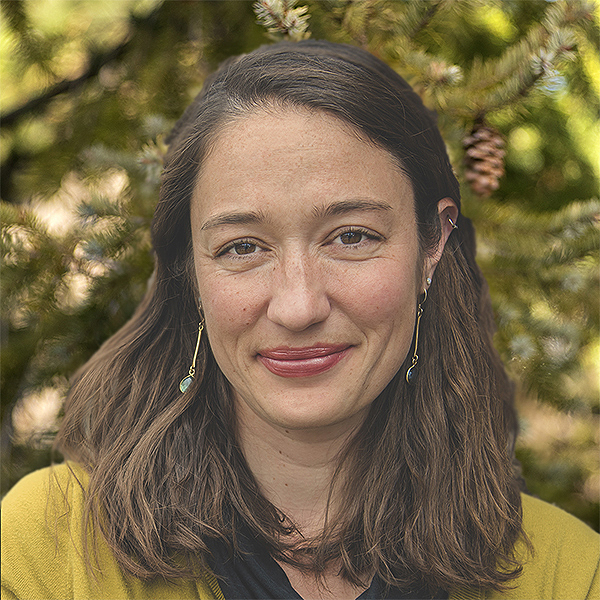 Audrey is passionate about connecting people to natural landscapes and seeks to create stewards of our public lands who feel viscerally and wholeheartedly tied to the places they help conserve. She has been leading wilderness expeditions throughout the Colorado Plateau and Rocky Mountains since 2008 and continues to teach wilderness medicine courses. 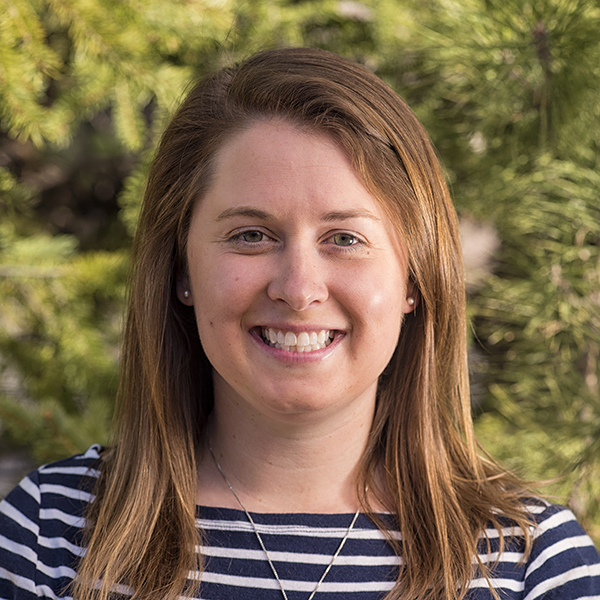 Audrey enjoys starry campfire nights, belly laughter, golden retrievers, speaking German, and bad science puns.